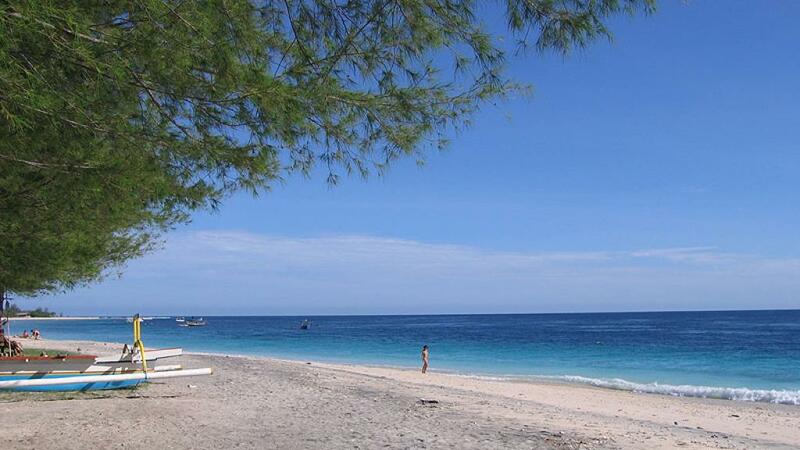 The Gili Islands are a haven for those wanting a relaxing and laidback holiday. If you're willing to well and truly settle into 'island time' then the Gili Islands are your destination of choice. All forms of motorised transport are banned from the island, leaving you free from the bustle of the main islands and able to enjoy the tranquillity of the Gili Islands. An increasing number of Westerners who escaped to the Gili Islands and didn't want to leave now live on the islands operating tourism businesses. And with the popularity of urban culture increasing, there are a number of beachside cafes, seafood buffets and good quality Western and Asian bistros enjoying quite a bit of success. Whilst the Gili's were once a place to dive, snorkel and party the islands are now drawing contemporary visitors who also enjoy fine wine, dining and cultural experiences. But this is not to say that the quintessential water activities are not on offer - it is an island after all! In fact, the island is known globally as a diving teaching centre and with such an impressive array of sea creatures and plant life, the Gili Islands don't disappoint. Visibility is commonly within the 15-20 m range and drift diving is common practice in these parts due to the islands' exposed position and strong currents. In recent years, a strong emphasis has been placed on environmental focus to prevent damage to the reefs as has occurred previously. However, if diving isn't your thing there are plenty of other ways to enjoy the crystal waters and stunning reefs of the Gili Islands including snorkelling, surfing or just relaxing on the beach with a good book and a cocktail in hand. The Gili Islands tend to be drier and warmer than Lombok, however the evenings are still cool and refreshing. The islands experience their rain season between November and April however rainfalls during this time are still less than that experienced by Bali. The peak tourist seasons are between July and August, and December and January and it is during these times that the Gili Islands weather turn on their best. As there are no cars or motorbikes on the island your only choice of transportation are horse-drawn carts, known as cidomo. However the islands are only a few kilometres in diameter and are a pleasant walk no matter where your destination. This provides an excellent opportunity to fully explore the beauty of the islands. Bikes are available for rent should you wish to ride around the islands and the main tracks are suitable riding.